NOTICE: Activation key must be used on a valid Steam account, requires internet connection. 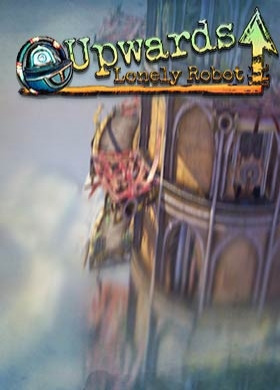 ABOUT THE GAME	In Upwards, Lonely Robot, you are the eponymous android tasked with ascending a series of towers in the search for your creators. Each tower climbed unlocks a little more behind the mystery – with plenty of finger-twisting jumps and vicious enemies to overcome along the way. Not onl… y that, but players must complete each level with an increasingly-challenging countdown timer putting them under even more pressure.KEY FEATURES The vertical trial game that you’ve been waiting for! Who needs to go horizontal when you can go vertical? Addictive and challenging puzzle platformer gameplay, a challenge for all gamers Tons of levels to master Online and local split-screen multiplayer with leaderboards for infinite mode – challenge your friends to get the highest scores and quickest times! A mysterious and heart-wrenching story with a twist at the end for you to unravel as you progress through each levelSYSTEM REQUIREMENTS Minimum:OS: Windows Vista SP2 or newerProcessor: 2GHz Dual core Memory: 2 GB RAMGraphics: DirectX 10.1 compatible graphics cardHard Drive: 500 MB available spaceDirectX: Version 10 Recommended:OS: Windows 7 or higher Memory: 4 GB RAM Kasedo Games is a division of Kalypso Media Group. Kasedo Games copyright © 2016 Kalypso Media GroupAll rights reserved. All other logos, copyrights and trademarks are property of there respective owner.